If you want to be the #1 influencer in your industry, you’ve got to get bigger media visibility. 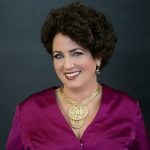 Based on her international bestseller, Guerrilla Publicity, I will be discussing with guest Jill Lublin her simple strategies to go from unknown to newsworthy. Jill Lublin is an international speaker on the topics of Radical Influence, Publicity, Networking and referrals. She is the author of 3 Best Selling books includingGet Noticed…Get Referrals (McGraw Hill) and co-author of Guerrilla Publicity and Networking Magic. Her latest book Profit of Kindness will be released later this year. Jill is a master strategist on how to position your business for more profitability and more visibility in the marketplace. She is CEO of a strategic consulting firm and has over 20 years experience working with over 100,000 people plus national and international media. Jill teaches Publicity Crash Courses as both live events and live webinars and consults and speaks all over the world.Join us to learn proven secrets to understanding what the media wants, and short-term doable tactics that boost visibility for you and your brand.